I love stained glass windows. 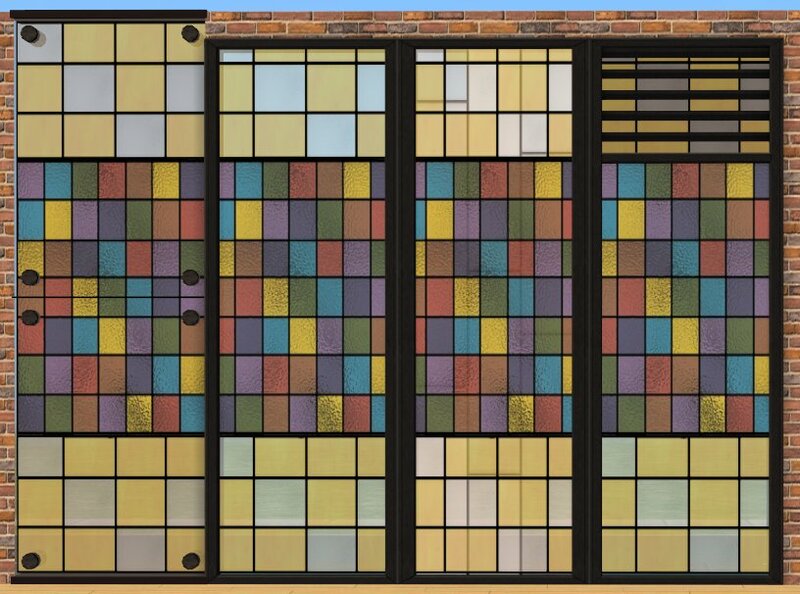 But a lot of windows are repositoried to one of the EA standard glasses, which isn't conducive to stained glass window recolours. 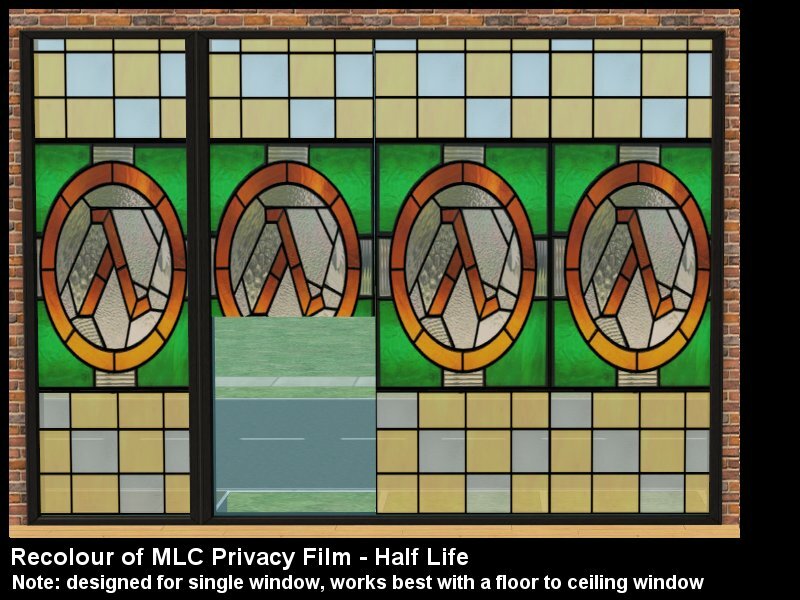 Moreover, the mapping for the Ergo set is pretty stuffed which makes creating stained glass a problem because it stuffs up the CEP that was needed to fix the stuff up that EA did with AL. They've all been made to work with a single tile full length window - so Numenor's Wall Window or StoneTower's Modern Fullsize Windows works well with them. Other's will cut some of the design off, but if you're ok with that. They still look fine. MLC has repositoried her set, so that there is a short version and a 2 tile version that can also automatically be used. The short version doesn't really look right, but the 2 tile does. 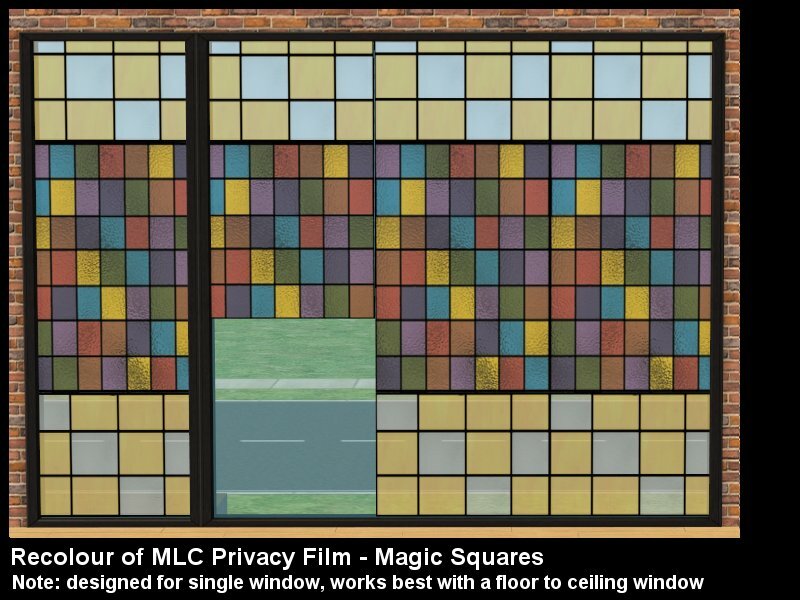 The Privacy film can be found under Deco -> Curtains. 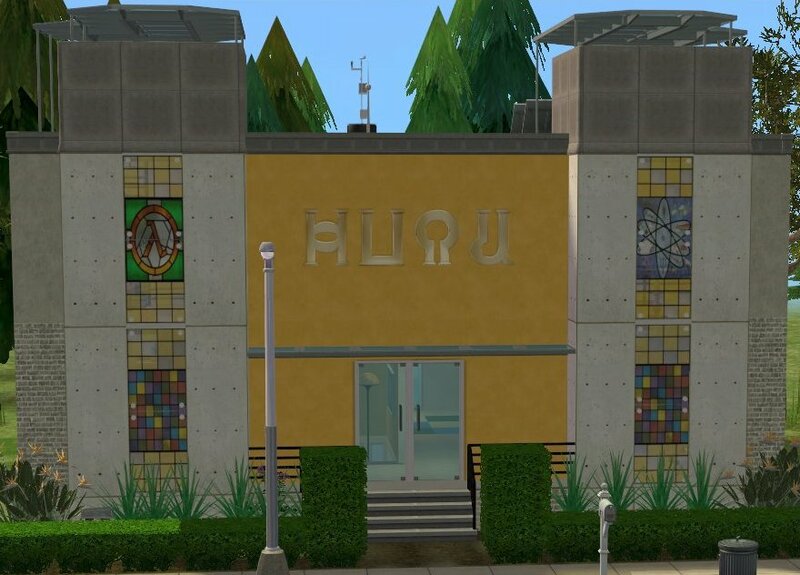 These designs were chosen for my dorm in Karen's Campus Constructors Contest. Half-Life and Physics are from the Interweb and Google. "Stained glass window in the dining hall of Gonville and Caius College, in Cambridge (UK), commemorating Ronald A. Fisher, geneticist and statistician, who was a fellow and president of the college. 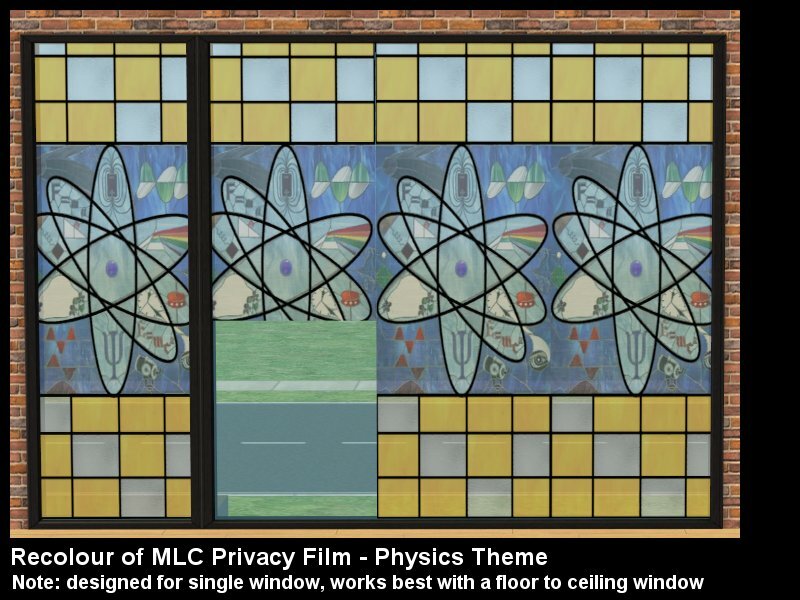 The window represents a 7 by 7 Latin square, an experimental design used in statistics; the text on the windows reads: R.A. FISHER; FELLOW 1920-1926 1943-1962; PRESIDENT 1956-1959." Those turned out really well kiri - good job. I'd like to note, however, that the CEP was NOT made to fix AL blunders specifically. Because that would indicate that EA didn't make mistakes before AL. They DID!!! But actually, CEP has been around to make certain non-recolorable objects recolorable! And such has been needed from the moment the Basegame was released.